Employment • Unpaid wage claims shot up during recession and have slowly tailed off since. 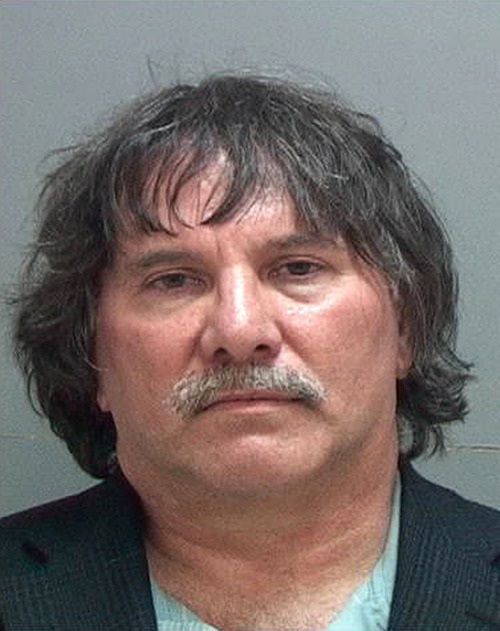 This undated photo provided by the Utah Attorney General's Office shows David M. Rushton, the developer of popular video games including "Alvin and the Chipmunks" and "Tiger Woods PGA Tour 2005," who began serving a yearlong jail sentence on Oct. 10, 2012, for failing to pay more than 100 employees their wages. The Utah Attorney General's Office says Rushton owes $1.2 million for nonpayment of wages. 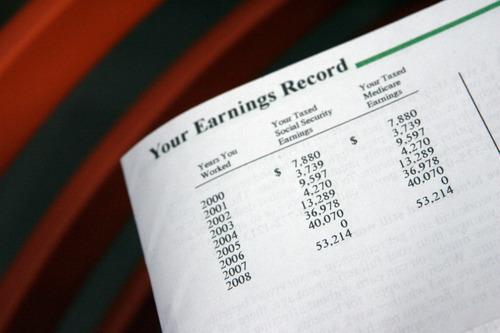 (AP Photo/Utah Attorney General's Office) Francisco Kjolseth | The Salt Lake Tribune Josh Jones shows zero earnings on his Social Security statement for 2007 because he was one of the worker-victims of Dave Rushton. A video game developer and entrepreneur, Rushton left Jones and scores of other former employees holding the bag for unpaid wages and insurance and was sentenced to jail earlier this month. "He took advantage of our passion for the gaming industry," said Jones. 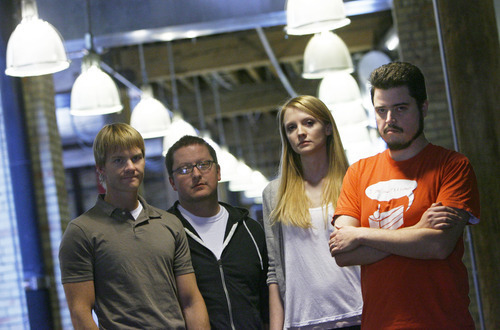 Francisco Kjolseth | The Salt Lake Tribune Claims for unpaid wages skyrocketed in Utah as the economy soured in recent years and some of those victims include Jeremy King, Adam Hunter, Jenna Kemker and Josh Jones, from left, who used to work at Sensory Sweep video games studio. Probably the worst of deadbeat employers was Dave Rushton, their former boss who was sentenced to jail this month for millions in unpaid wages. In contrast to the attorneys in conservative suits surrounding him, Dave Rushton looked like the video game developer he once was  long hair, sport jacket over a polo shirt, blue jeans and tennis shoes. Then a bailiff slapped handcuffs on him to begin a year in jail, and Rushton looked like a criminal. Watching  and smiling  were many of his former employees from Sensory Sweep Studios, which produced such video games as "Tiger Woods PGA Tour 2005" and "Justice League Heroes." They say Rushton stiffed workers out of millions of dollars in unpaid wages and looted retirement funds and health insurance payments that he falsely said were paid while he actually left workers uninsured. "He wasn't stealing money at gunpoint, but he was doing it in a very destructive way, taking advantage of our trust," says Nasan Hardcastle, a former employee who watched Rushton's sentencing earlier this month. "It's been four years and I still have trouble trusting employers in the industry at large." Rushton's video game company was arguably the worst of hundreds of deadbeat employers in Utah who sent claims for unpaid wages skyrocketing during the past four years after the economy soured in the recession. It used to be that the Utah Labor Commission considered it an extraordinarily busy year if it received 1,000 claims for unpaid wages, says Brent Asay, the commission's Wage Unit manager. In fiscal 2009  at the height of the recession  the commission received 2,624. Numbers have slowly decreased since, but Utah still saw 1,479 claims filed in fiscal 2012 (which ended June 30), according to a Salt Lake Tribune analysis of data between fiscal 2009 and 2012 obtained through an open-records request. The claims poured in as many companies went out of business and left workers unpaid. Others seemed to take advantage of employees having trouble finding jobs in the recession, and used empty promises to persuade them to keep working for partial or no pay. Some may have targeted illegal immigrants believing they would hesitate to report problems fearing it could lead to deportation. Deadbeats • While The Tribune analysis shows which companies were targeted by the most claims, that may reveal only a slice of the problem. For example, 88 employees filed claims totaling $663,143 in unpaid wages against Rushton's Sensory Sweep Studios, also known as Fooptube. However in criminal cases against Rushton, prosecutors said they found at least $1.2 million and as much as $1.8 million in unpaid wages for 95 or more employees. Additionally, they said more than $1 million was stolen from employee payments to retirement funds that were never deposited, and more from insurance payments that Rushton was supposed to make but did not. Labor Commission records don't reflect those high amounts because the agency limits claims to $10,000 in unpaid wages per worker  a fraction of the $40,000 or more some of Rushton's former employees said they were owed. At the same time, many workers simply never file claims or choose to sue or turn to federal  rather than state  regulators. Still, the statewide total for Utah over the four-year period was 7,646 workers claiming $16.7 million in unpaid wages. Besides Sensory Sweep, some other companies with large numbers of claims filed include: Precast Concrete Products (90 claims for $138,533); U.S. Tank Co. (74 claims for $189,620); Cabinetec (61 claims for $236,713); and Salt Lake Valley Protective Agency (59 claims for $97,256). Others include: Heritage Web Solutions/Hit Web Design (58 claims for $245,039); TJ Enterprises and Acoustical (49 claims for $164,707); Zrii (40 claims for $125,805); Willow Creek Health Care (32 claims for $150,148); Digital Bridge (28 claims for $257,375) and Zoomobile Alliances (28 claims for $139,189). Most of the worst deadbeat employers appear to be out of business now, or in the process of closing. Many left behind unpaid employees as they closed their doors. However, Asay notes that the state can and does pursue corporate officers' individual assets for wages owed. But the process often can take years before much is recovered, and many employees never receive anything. Empty promises • Unscrupulous employers sometimes con committed employees into working months for partial or no pay  using false assurances and promises of big deals. "He took advantage of our passion for the gaming industry," Josh Jones, a former Sensory Sweep employee, said of Rushton. "We would be promised paychecks on one day, and that day would get pushed back, and pushed back," Hardcastle wrote to 3rd District Court. And he described the discovery that employees' health insurance had been canceled for lack of payment by the company. "One of my friends has a child who went through a heart transplant. ... They were not able to get the medication they needed." Stephan Frost, another Sensory Sweep employee, wrote to the court saying that as the company was imploding, Rushton gave him a raise and urged him to use it to help buy a house as a newlywed. "My first house payment almost fell through because when I went to cash my check, there was no money in the Sensory Sweep account." Frost said unpaid wages eventually forced him to rent out the house for less than his mortgage while his family moved in with relatives to economize. "[Rushton] didn't pay people what they deserved and he kept deceiving them for the prospect of more money," Frost wrote. "If he can't pay the $2 million that he owes employees, then he should receive a sentence worthy of a bank robber." Bounced paychecks • Similar stories are told by former employees of Salt Lake Valley Protective Agency, a security guard company. Workers said they would constantly call the credit union that issued paychecks to see if any money was in accounts, and rush to try to cash them when it was. "They told me to quit whenever I want, but good luck in finding another job in this economy," said claimant Jordan Westling. Nicholas Ashby wrote in a claim that he had a pregnant wife on bed rest plus two children as bounced paychecks caused his own checks for rent and car payments to bounce. "We had to move in with [his wife's] parents," he said, and the family ended up losing their car. He said in a telephone interview that they eventually moved to Texas where he found work as a truck driver. Asay, the Labor Commission manager, said that because of their patterns of repeated bounced checks, the Labor Commission referred both Sensory Sweep and Salt Lake Valley Protective Agency (SLVPA) to the Utah Attorney General's Office for investigation  the only two such referrals in recent years. Rushton was convicted in two separate cases, one relating to unpaid taxes and one to unpaid wages. On the tax case, he was sentenced in 2010 to a year and a half in jail and ordered to pay more than $500,000 in restitution to the state. On the wage case, he was sentenced just this month to a year in jail and ordered to pay restitution to workers and given at least nine years of probation after jail. In August, the state filed felony racketeering and tax evasion charges against Michael Vigil and Charles Snively of the SLVPA, alleging they failed to pay state taxes withheld from their workers' pay. Targeting Latinos? • People with Hispanic surnames filed 31 percent of all claims over the four-year period  more than double their proportion of the state's population (13.2 percent, according to the census). Jim Sala, representative of the Southwest Regional Council of Carpenters, says that's because some bad employers do not pay Latino workers, figuring they won't report it out of fear of being deported. "We see it every day," he says. Claims suggest TJ Enterprises and Acoustical construction engaged in this practice, although company officials deny it  and blame the large number of claims on a union campaign against them because they pay below-union scale wages. "They tried to run us out of business, and have succeeded. We're in the process of closing our doors," says company President Ted Gurule. The company won almost all claims filed against it, arguing that many people filing claims were not technically employees but were subcontractors. Also the company said it had been paid in full, and many of the workers signed papers acknowledging that. But some of those papers said "paid in full  $0," meaning they had been paid nothing. Workers said they signed such papers amid threats. One undocumented immigrant from Mexico, who spoke on condition of anonymity, said in an interview the business owed him $26,000. When he tried to collect, he said the company's Terry Gurule offered to pay him $1,500 if he would sign a paper saying that was all he was owed. He claimed Gurule then took out a gun he was carrying and laid it on the table. The man said he felt he had to sign the paper under threat. Company President Ted Gurule denies that such things ever happened. Asay said the Labor Commission does not ask the immigration status of workers. But acknowledging the high number of claims filed by Latinos, he notes, "If they can't speak English well, some less than honorable employers will take advantage of that." Justice delayed • Despite the dramatic increase in wage claims during and since the recession, the state hired only one additional contract employee to help handle them. Asay said the average time to determine whether money actually is owed takes 309 days. "That is a long time for people who need the money," he acknowledges. Many do not see money for even a longer period, if ever. If companies file bankruptcy, all collection proceedings are halted and become part of the bankruptcy court case. Many companies and their officers do not pay even when the state rules against them, in which case regulators double the amounts owed as penalties, add interest and also charge attorneys fees. The state then will go to court to go after assets. But as Hardcastle said about Sensory Sweep, "It's been four years, and I haven't seen a cent." He may see some money someday, because Rushton was ordered in his criminal case to pay victims the full amount owed as he works the rest of his life. But 3rd District Judge Robin Reese told Rushton during his recent sentencing that that was not enough. "Good employees suffered because of your mismanagement and criminal activity," Reese said. "I feel you should serve hard time," he said as he had the former video game developer and entrepreneur handcuffed and led off to begin a year in jail.